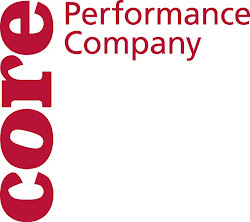 CORE Performance Company: return of the kleiber!!!! howdy, howdy everybody....i haven't blogged in a few days. we normally have tuesdays off...and yesterday (wednesday) i just dropped the ball. there was a lot of good stuff i could have gotten on camera, but i was just too slow to get it. lots of great improv work as an entry-point to get into The Point (which is our new dance that is in the works). so...i apologize. but believe me, if it was captured on film...it would have blown your mind. before we went into the work yesterday, we all checked in to see where we were in the process of things and our "fearless leader" Sue Schroeder just gave us some things she wanted us to play with that really fed all of our work. anyway...i am pleased to announce the return of Kim Kleiber, who is coming out of "retirement" for the houston performance of Alicia Sanchez's work "Tus Pasos Encontrados." here is a short snippet of the gang (MaryJane, Claire, Blake...and Kim) putting the dance back together. by the way, this dance will be performed November 14th at the Wortham Theatre in downtown Houston for Quirky Works presented by The Houston Met with guests Travesty Dance Group (Houston) and CORE performance company. because corian and i are not in this dance, our assignment to day was to work on the point, both individually and together. we used the improv we did yesterday as a jumping off point for a phrase we were to create together...and for phrases we created seperately. the improv yesterday was another improv that came from Sol Lewitt's "Wall Drawing #65..." and the assignment led to some fun, interesting material. this first video is of the duet phrase that corian and i created. to start off we just discussed some things that we were working with...for instance, how can we cut the three dimensional space with our limbs, or how do we make lines that are "not straight"? then we worked in a "ping-pong" sort of method where we took turns creating material where the previous person left off. having worked with corian many time before...it was a nice challege to work in this different way. it definately was a 50/50 collaboration. so that is just a little taste of what went on today...corian and i also made up individual phrases...but alas, the day is over and i have to get to my other job...so i will post those videos tomorrow at some point! hope you guys enjoy a glimpse into all the different goings on at CORE. this is alex...peacing out!